Fives, having expertise in both welded tube production lines and finishing solutions, was entrusted by a leading Russian tube maker to design and manufacture process and finishing equipment for a tube production facility. The scope of supply includes three Bronx straighteners, two OTO accumulators for tube mills, and five Taylor-Wilson finishing products (a three head hydrotester, a set of end facers, a dual drifting machine, and two coupling leak testers for a pipe threading line). The Taylor-Wilson three headed hydrotester features a robust yet efficient design that maximizes plant production. The Bronx straightener is a rigidly constructed machine, enabling tube manufacturers to meet criteria for reliability and accuracy. The OTO accumulator is a durable machine, allowing for high production capacity. 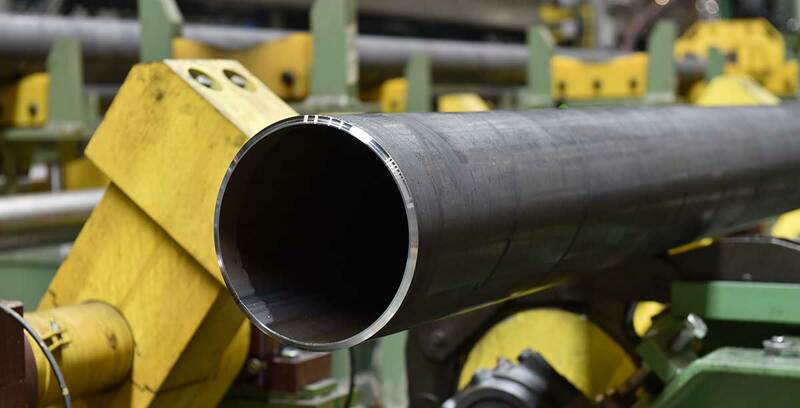 Fives has been very active in the Russian tube and pipe market for more than 40 years, having supplied straighteners, hydrotesters, leak testers, end facing machines, as well as welded tube mill lines and cut-off systems.